All dances will take place at the Huntsville Dance Connection at 912 11th Street in Huntsville unless otherwise announced. Dress is casual and comfortable. You don’t have to have contra danced before or to bring a partner. 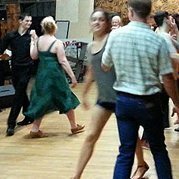 Contra dance takes place in a smoke-free, alcohol free environment.